Internationally known for his published contemporary realist painting, Artist Todd Krasovetz soft abstractions forge new artistic territories evoking the power, tempo and tonal complexity of musical composition. Born of a spontaneous process very close to Pollock’s ‘action painting’ which Krasovetz describes as ‘event painting,’ these bold and expressive large scale works on canvas trace back through the heroic lineages of Sargent, Matisse and Van Gogh. Working horizontally, artist Todd Krasovetz artistic process involves accelerating the drying time of the oil paint which he splashes freely into the artistic ether. Combinations of warm and cool hues emit contrasting notes that emerge as translucent and metallic layers resembling the ebb and flow of water. Ornate patterns and undisclosed narrative qualities embellish the plane. As a whole Artist Todd Krasovetz’s fine art evokes a sense memory and emotionality, catalyzing around the evocative feminine mystique, which they take as their central theme. Born in Frankfurt, Germany, artist Todd Krasovetz currently lives and works in San Diego, California. Please feel free to contact artist Todd Krasovetz as he enjoys painting artwork for private collectors as well as for charity auctions and donations. Rancho Santa Fe Oil Portrait by Todd Krasovetz. 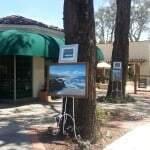 Please call 1.619.490.9985 for more information about commissioning the artist.